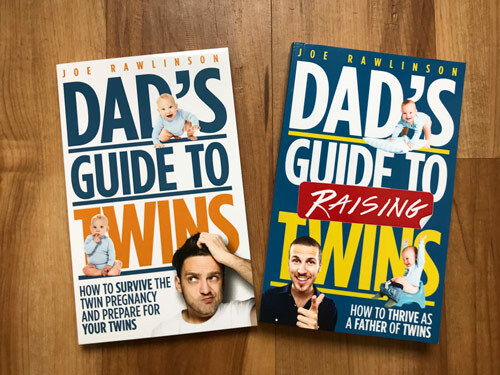 As a parent of twins, you recognize that your twins are individuals and you want to help them develop their individuality. 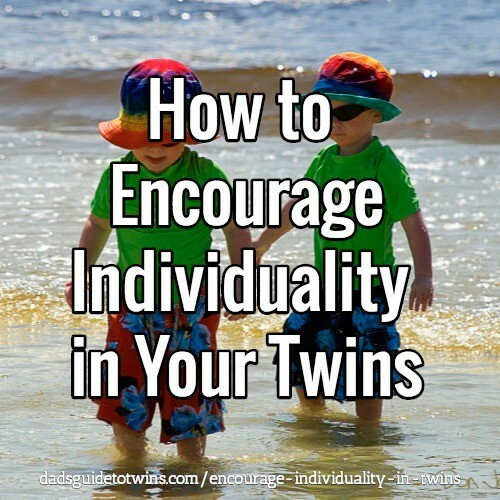 Encouraging individuality in your twins starts with how you treat them. Call each twin individually by name and avoid always grouping them as a pair. For example, are you always calling out “let’s go twins” or “let’s go girls”? When activity is truly optional, avoid forcing one twin to do what the other is doing. Granted, you’ll need to make a judgment call here as a parent. For example, if one child doesn’t want to color, don’t stress out about it. Ask each child what she would like to eat, do, see, play with, or experience. Look for opportunities to do those different activities. Give your twins the opportunity to help make meals, pick the particular food for lunch, or choose which restaurant you’ll be visiting. 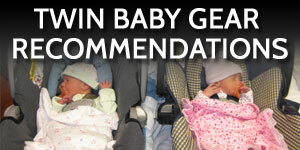 Let your twins experience many different activities to see which one they like most. For example, you may find one of your twins gravitates to dancing while the other prefers swimming. 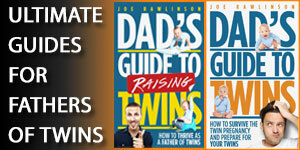 Let your immediate and extended family know that you want to encourage individuality in your twins. Share some of these tips with them and practice them in front of your family members. Birthdays and holidays are great opportunities to have family members highlight the individuality of your twins. Have two birthday cakes. 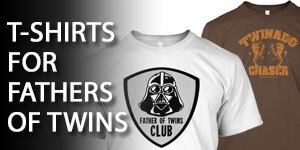 Get each twin a different present. 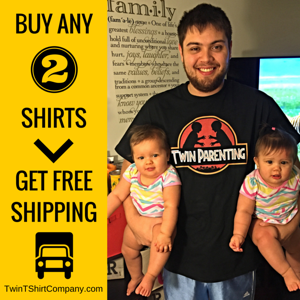 When they are old enough to express their opinion, let your twins pick out the clothes they want to wear. You’ll start to see preferences in their respective styles and dress. Style your kids’ hair differently. Like clothing, they will start to have a preference as to what type of hairstyle they have. This will come up with haircuts and also on a daily basis (for example: pony tail or pig tails?). Avoid always dressing your twins in identical outfits (especially as they get older). These matching outfits are cute but they fail to reinforce that your twins are individuals. Pay attention to the little differences in your twins. You’ll be amazed at the long list of differences you can come up with in a short amount of time. Celebrate these differences and encourage each twin’s development of unique hobbies and personalites.